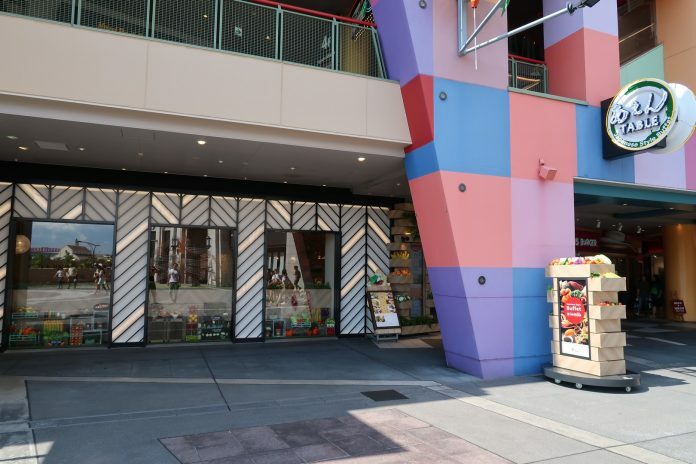 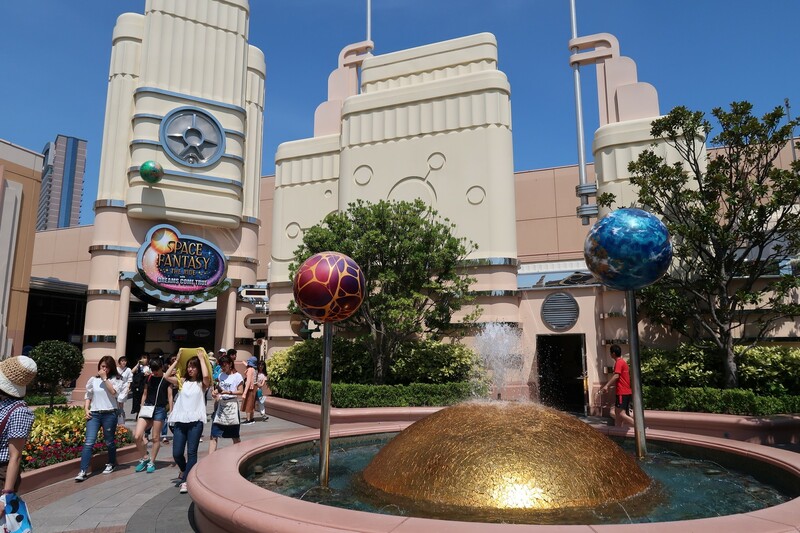 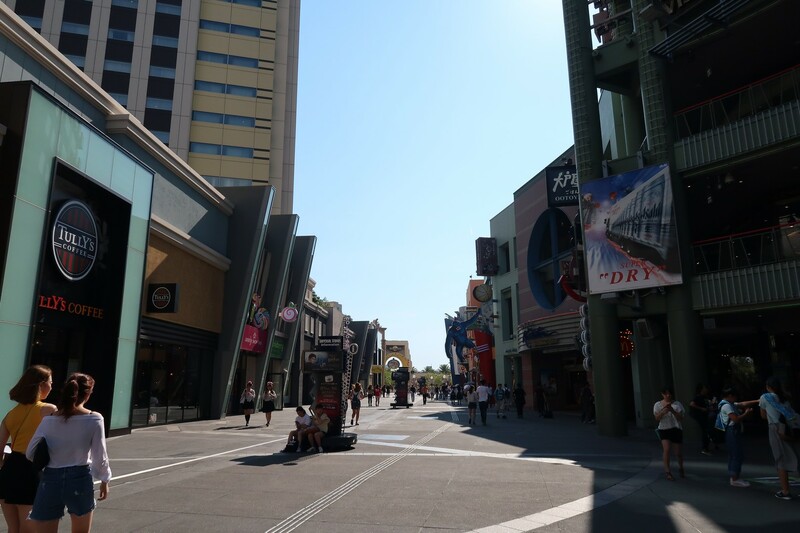 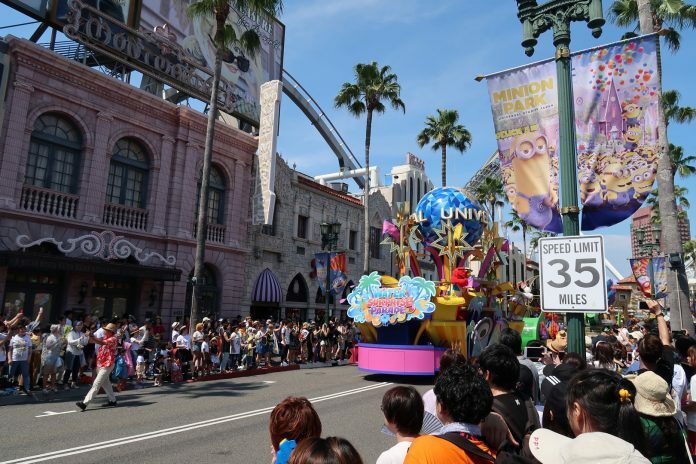 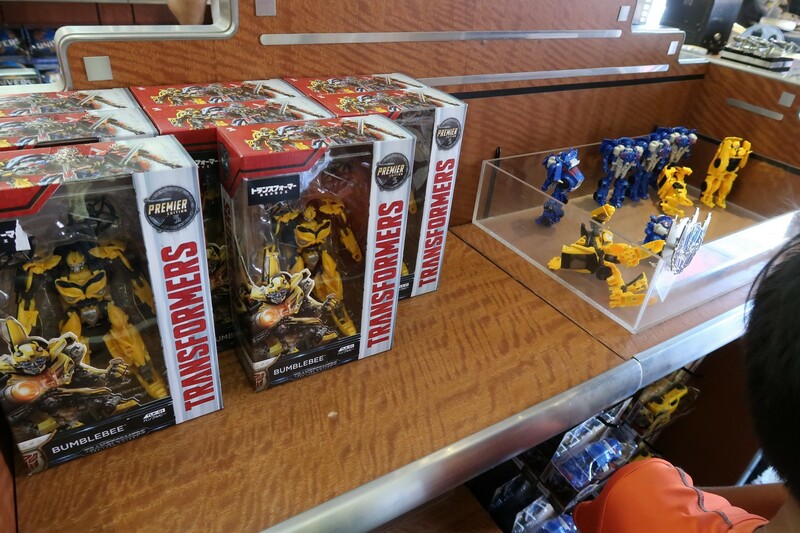 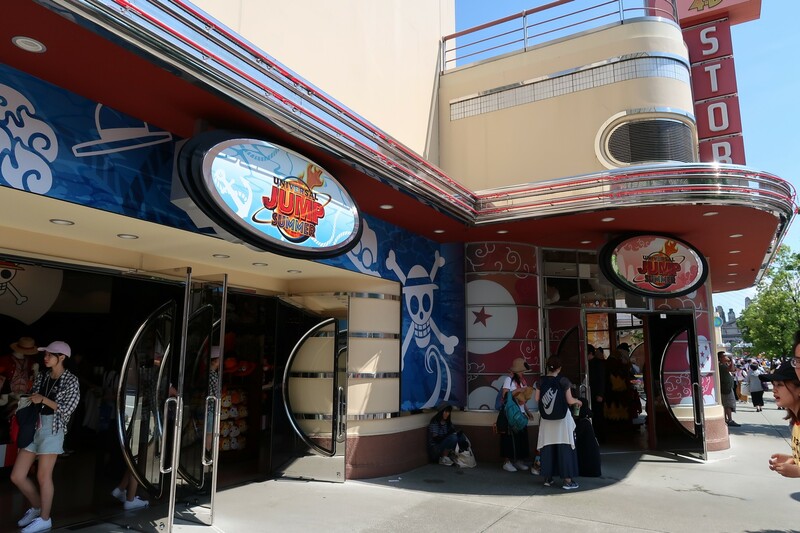 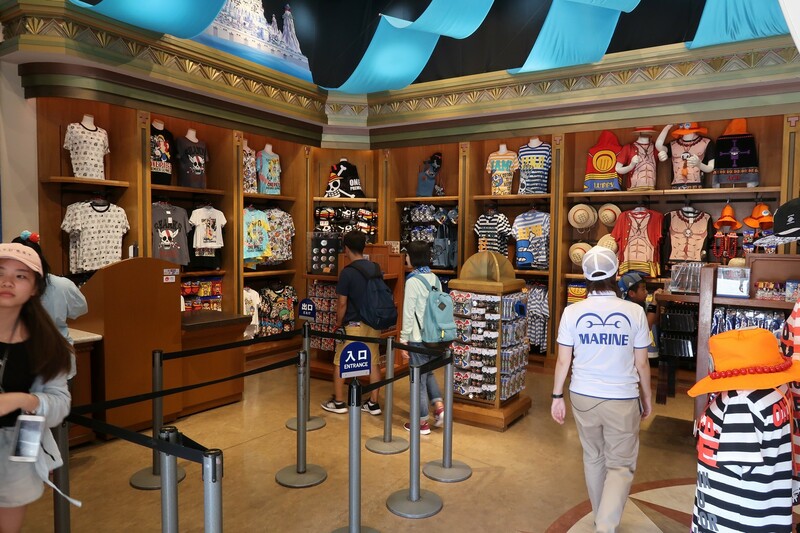 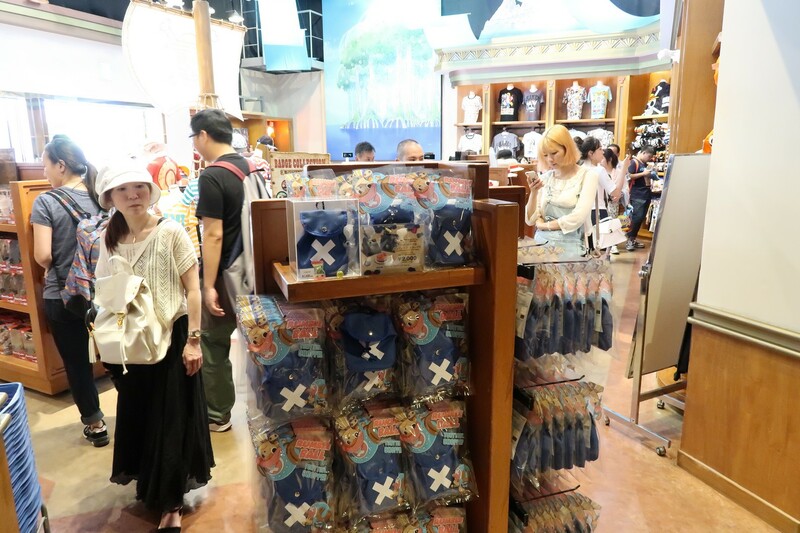 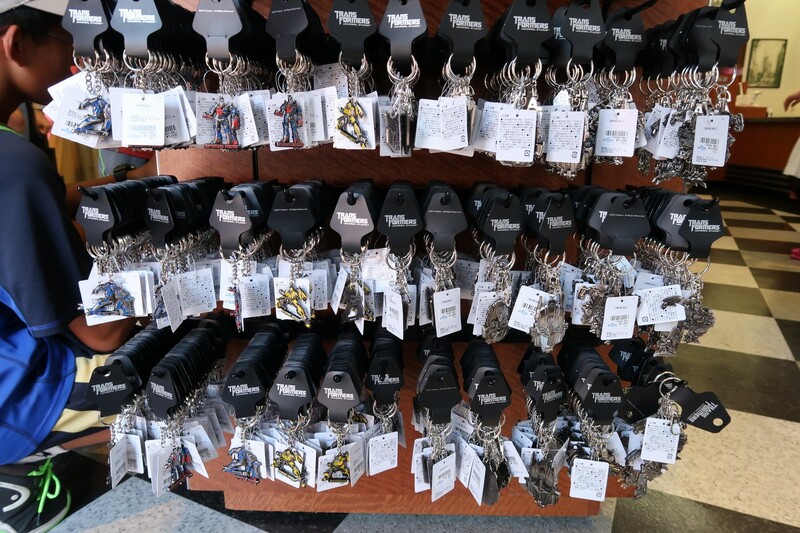 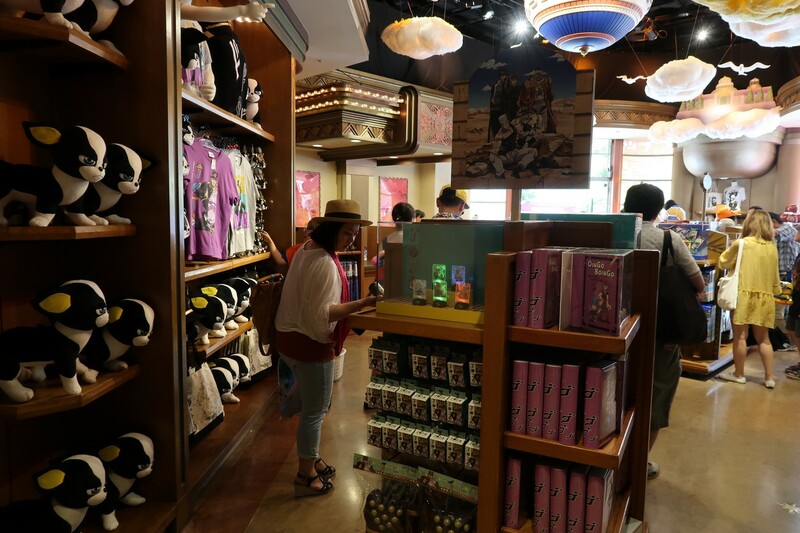 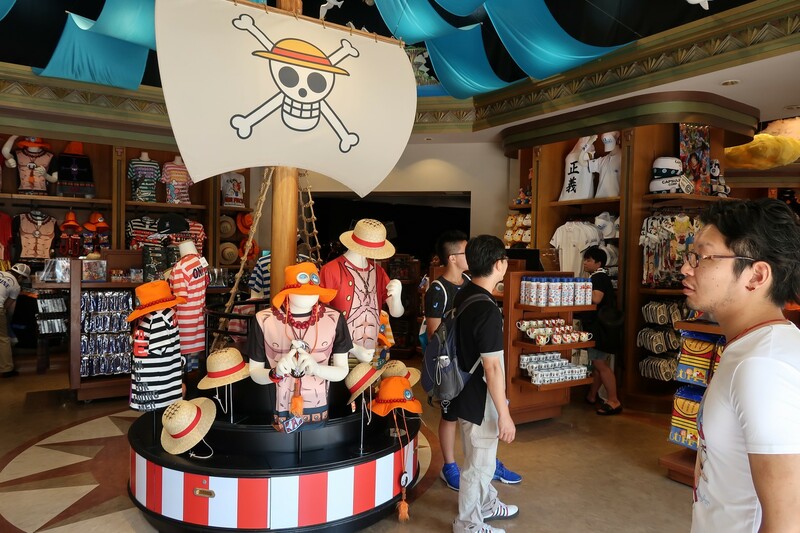 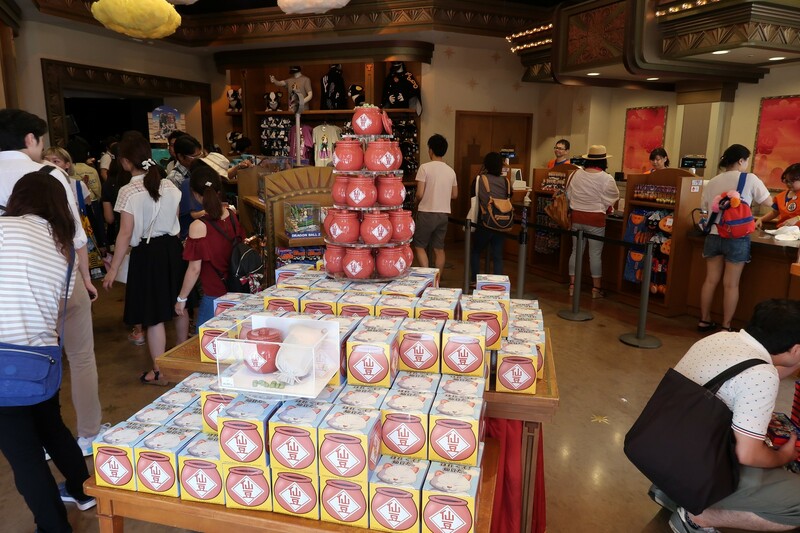 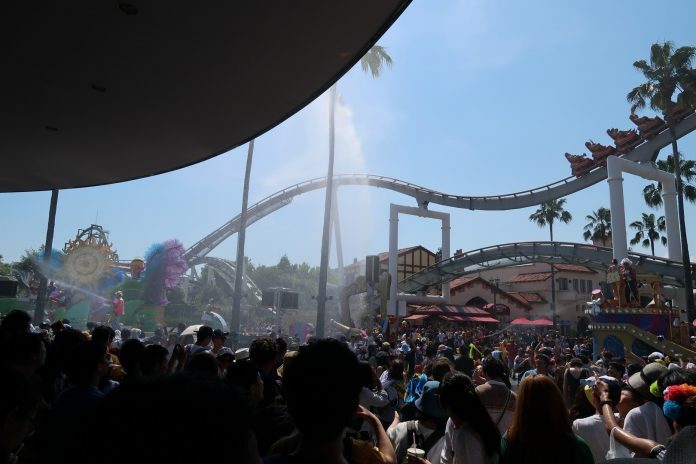 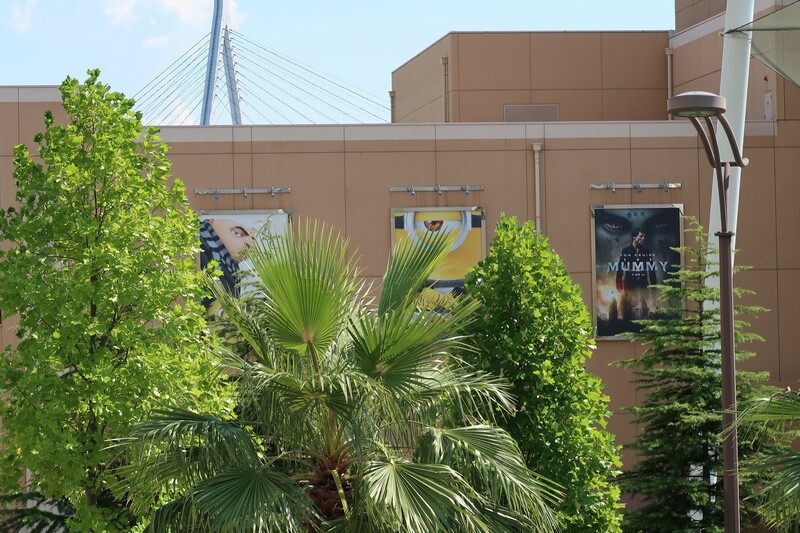 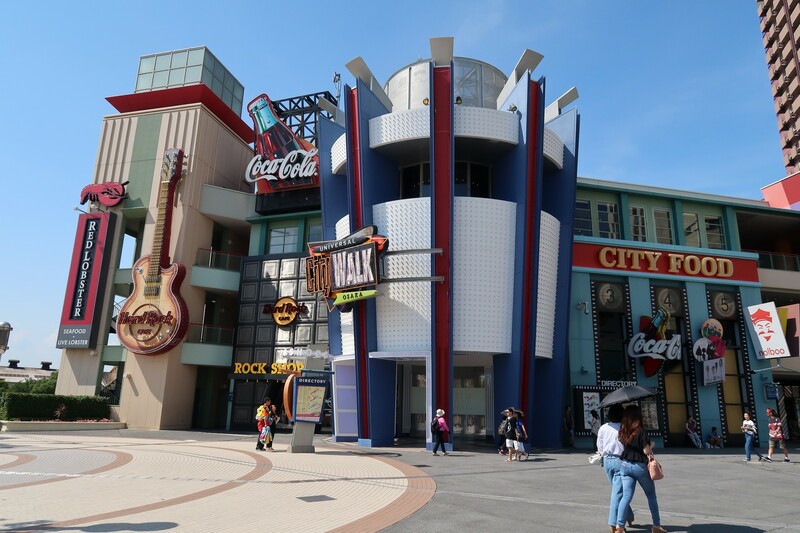 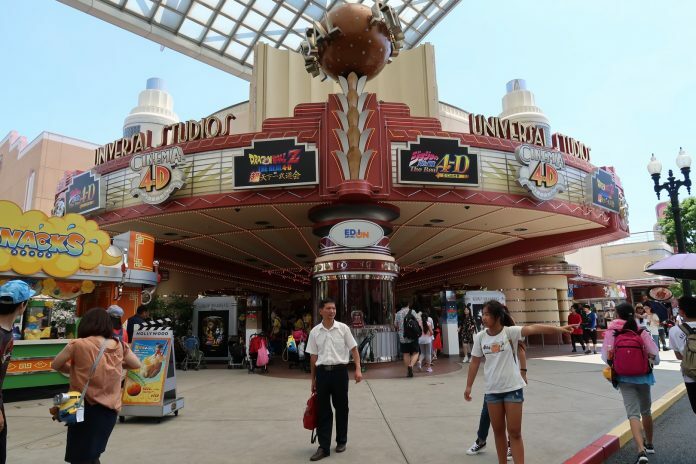 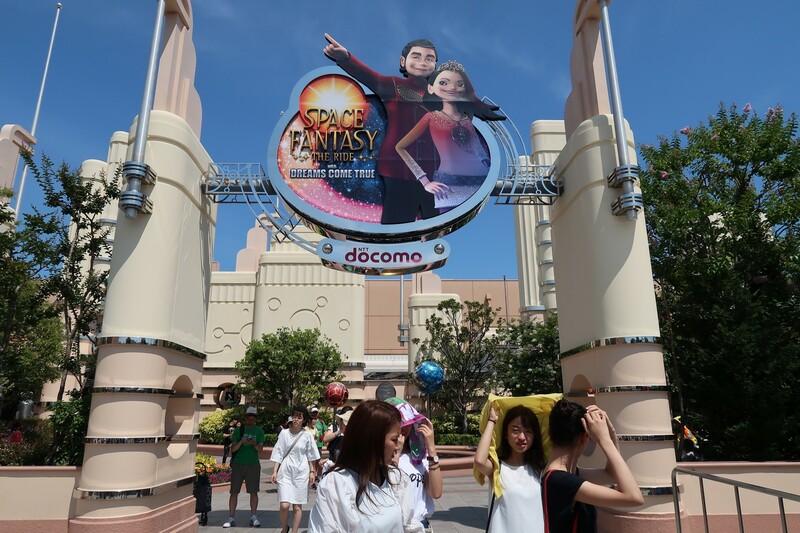 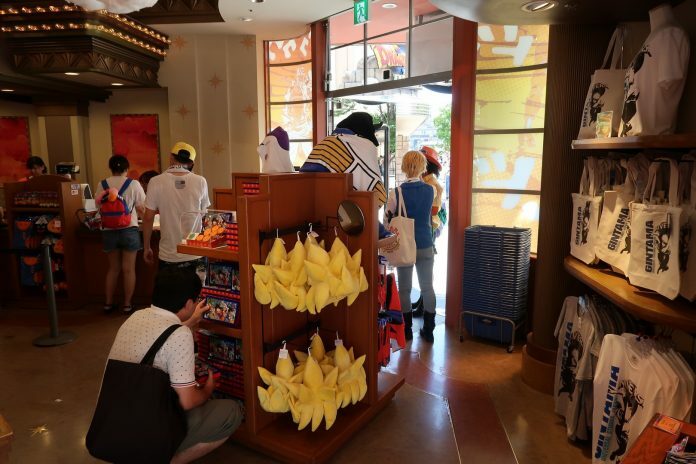 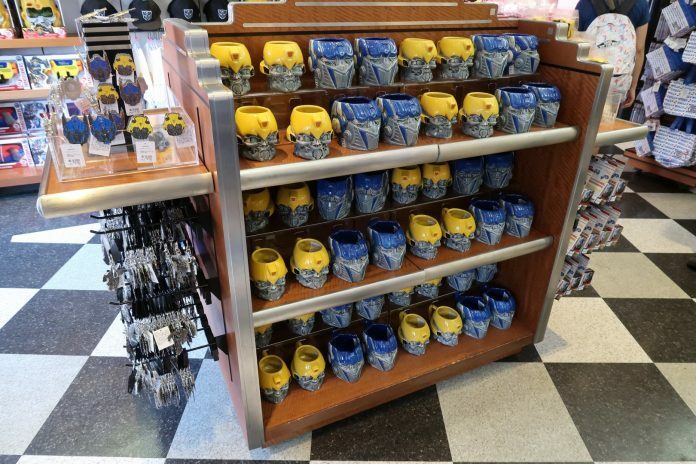 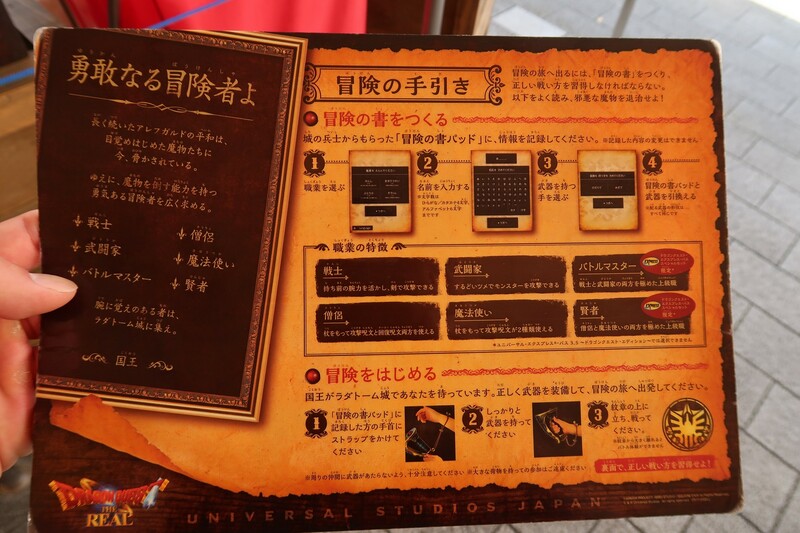 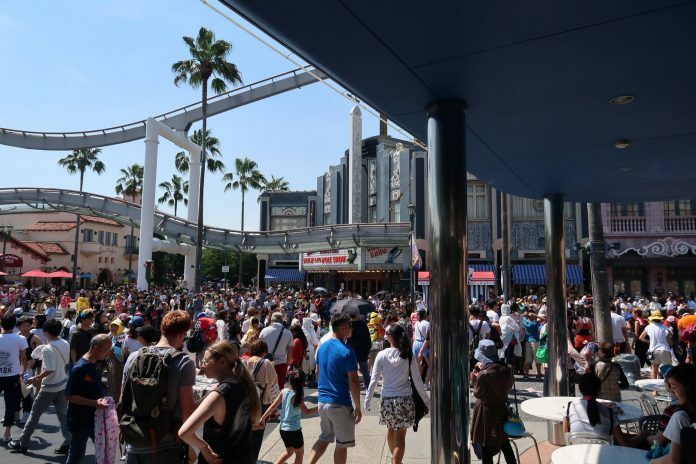 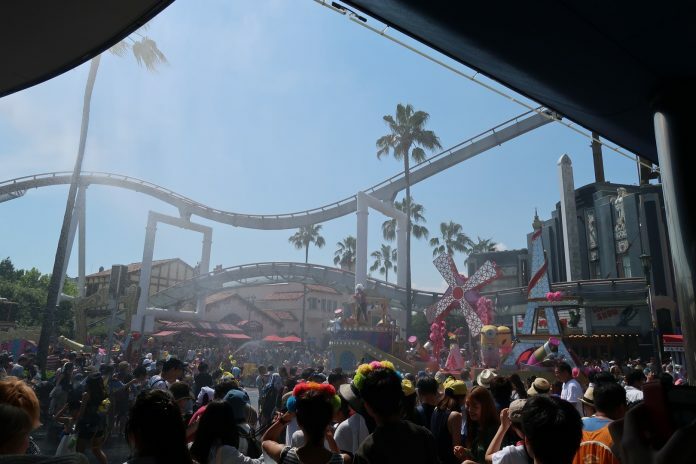 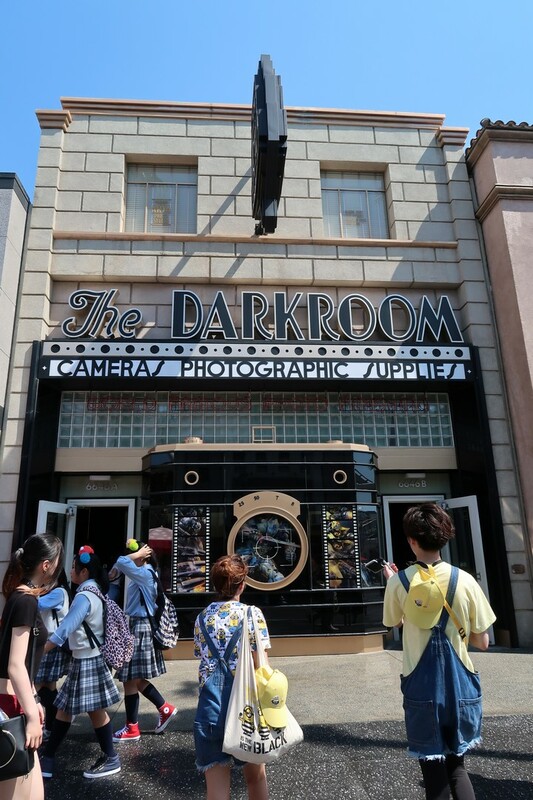 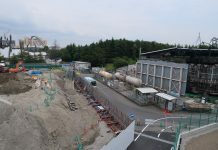 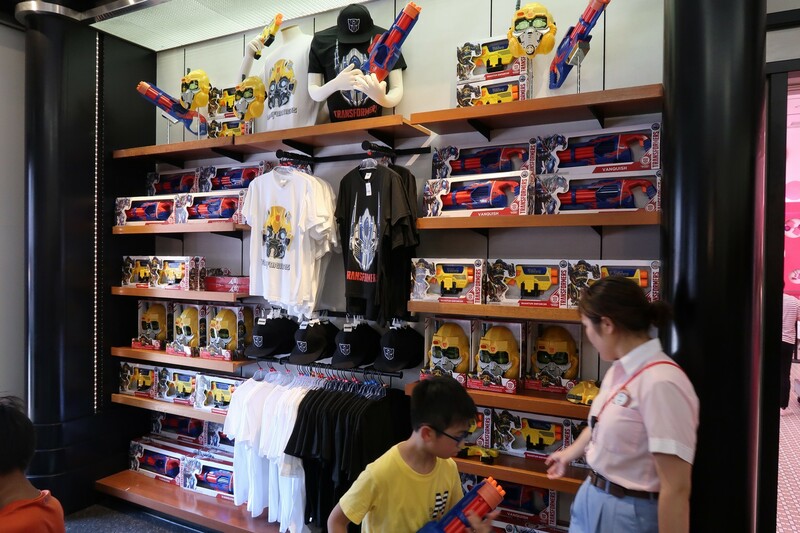 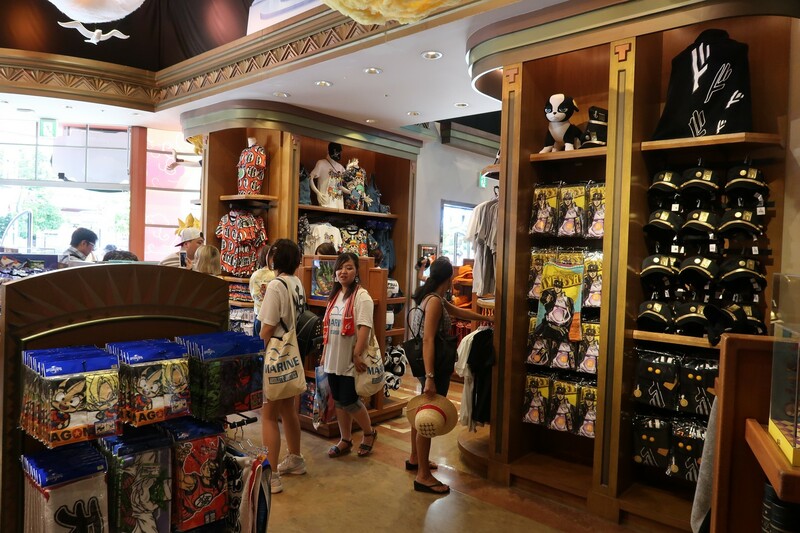 Here’s a photo update featuring the Summer offerings and other happenings around Universal Studios Japan. 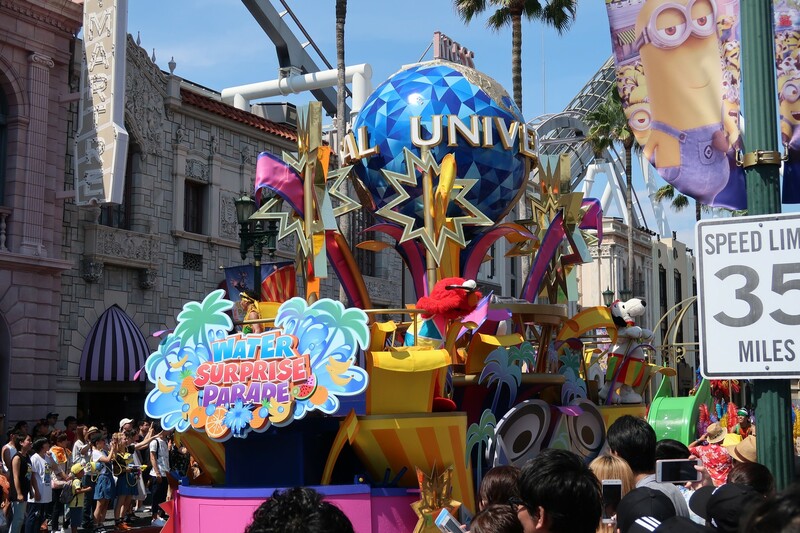 In this update, we’ll be taking a look at Jump Summer, Universal Summer Festival, the Minion Water Surprise Festival Parade, and more! 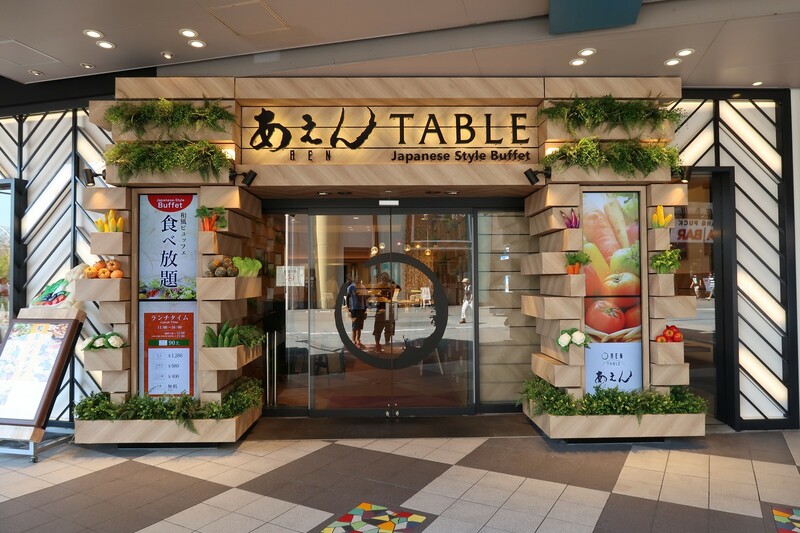 The Japanese buffet “AEN” re-opened last week. There are still 4 stores that are under construction around CityWalk. Dragon Quest(Dragon Warrior) is a collaborated effort with Universal Studios and the game to celebrate the 30th Anniversary. 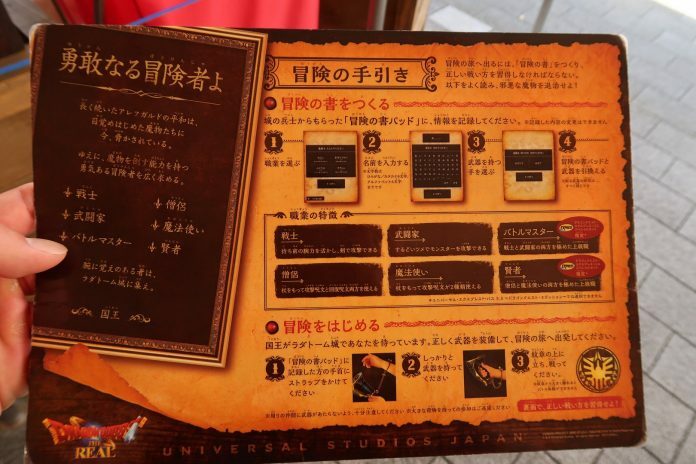 Guests need a numbered ticket to go in to the attraction. 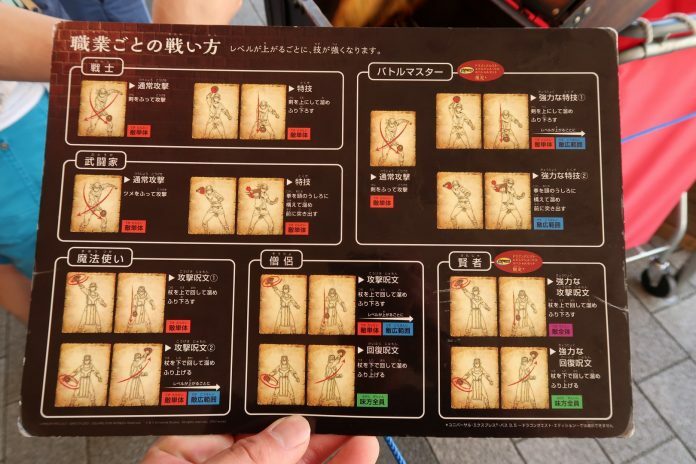 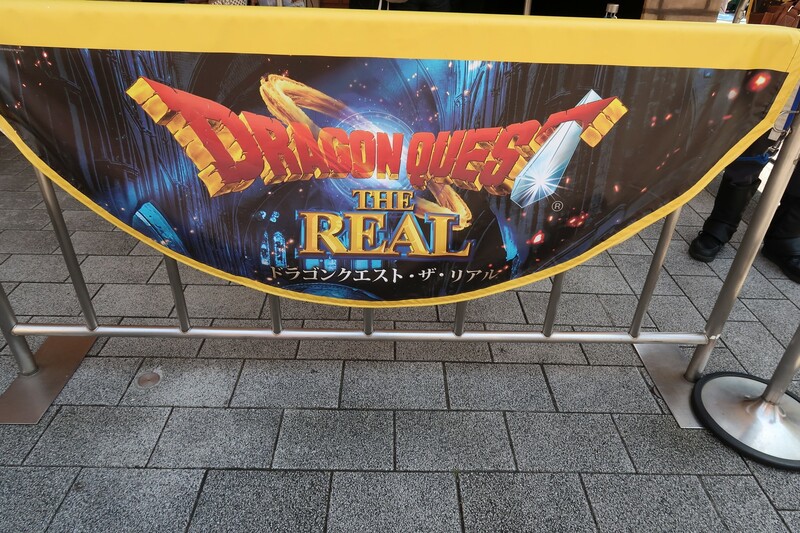 Guests will be the one of the Dragon Quest characters – such as Warrior, Mage, Priest and Soldier – and use their skills to attack monsters and try to save the world. The attraction is open until September 3rd. 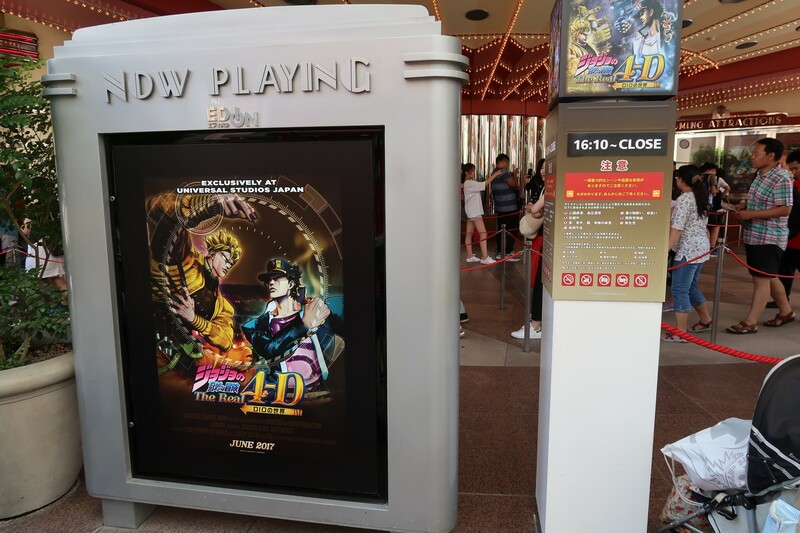 The Cinema 4D theater has changed to Dragon Ball Z: The Real 4-D & JOJO’s Bizarre Adventure: The Real 4-D for the JUMP SUMMER event. The theater was originally used for Shrek 4D and Sesame Street 4D. 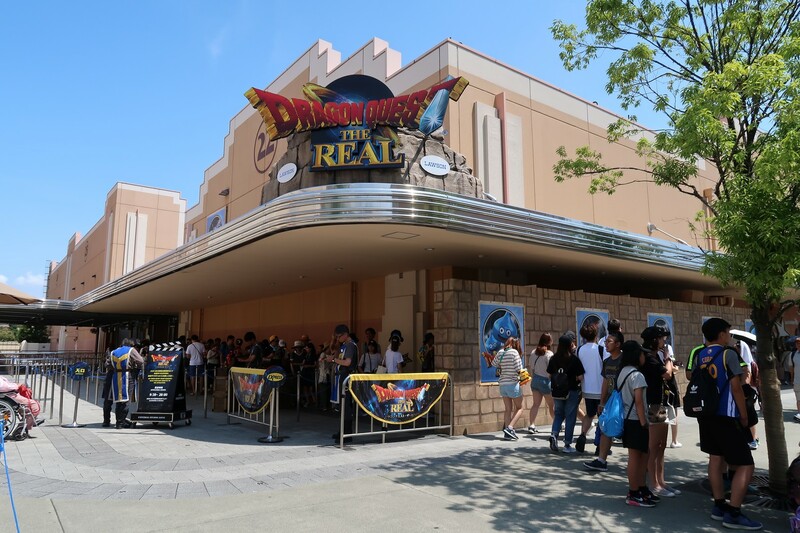 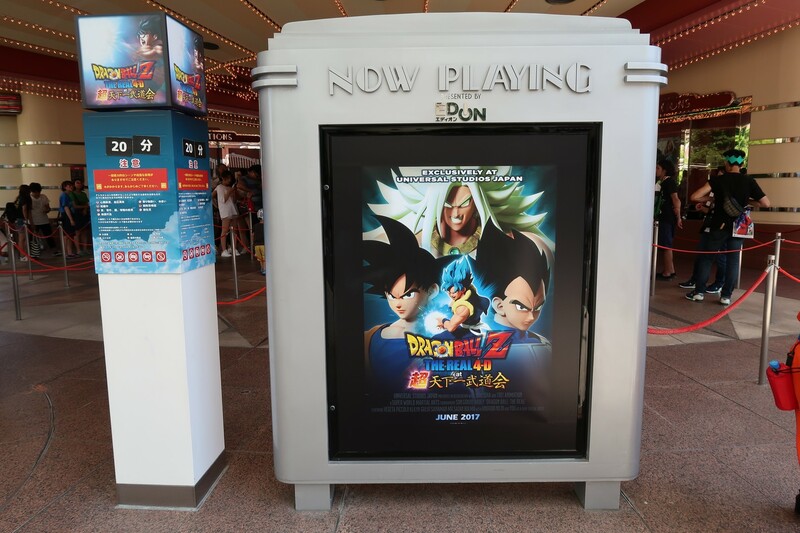 Both films will run through Oct 1 with individual set times; with Dragon Ball Z open from Park Open to 2:10, and JOJO’s open from 4:10 to Park Close. 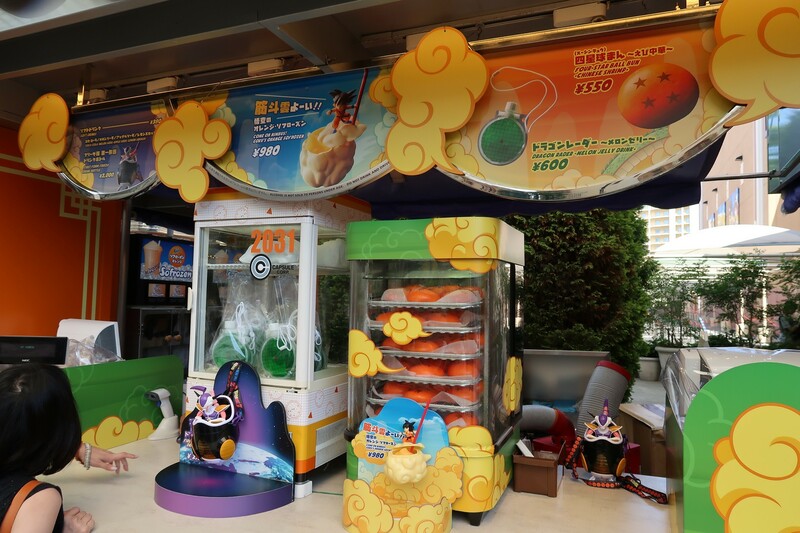 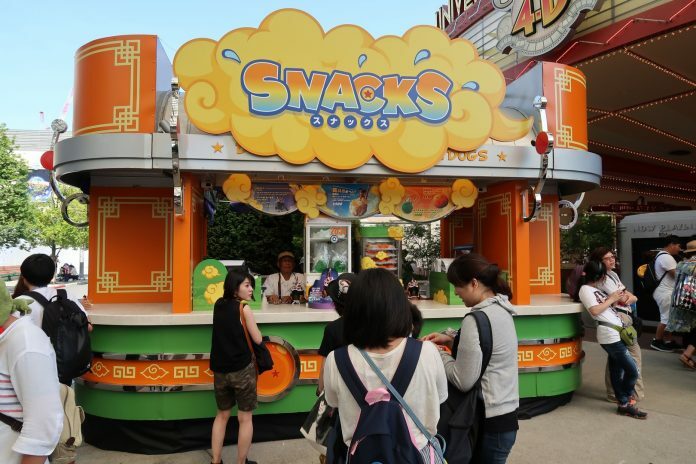 The snack cart sells the Dragon Ball Z-inspired snacks; such as frozen yogurt, jelly and soft drinks. 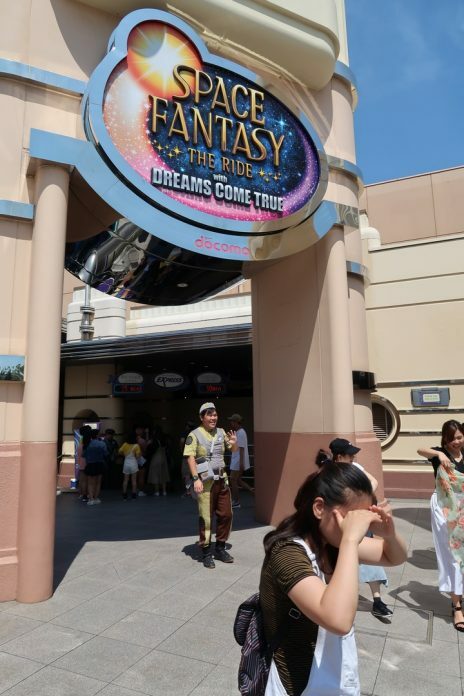 Space Fantasy: The Ride with DREAMS COME TRUE is also a limited period attraction. 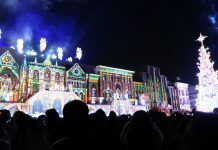 Collaborated with the Japanese Pop Artist DREAMS COME TRUE; feautring their new song あなたと同じ空の下 (Anata to Onnaji Sora no Sita), meaning “Under the Same Sky with You”. 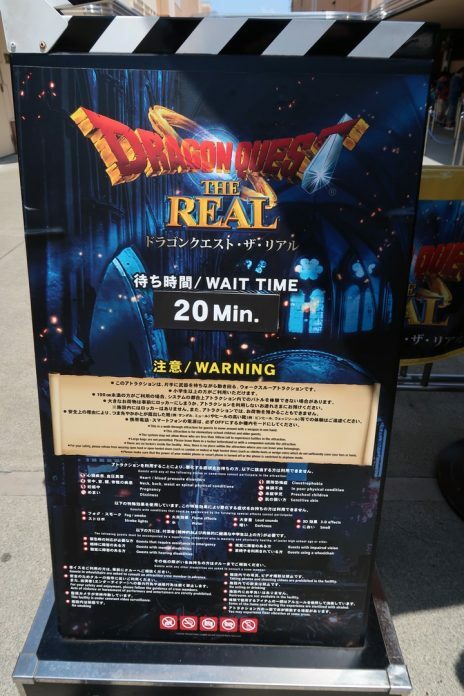 All the queue lines have changed to the DREAMS COME TRUE version, so it is a completely new experience. 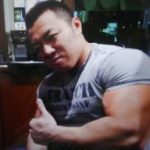 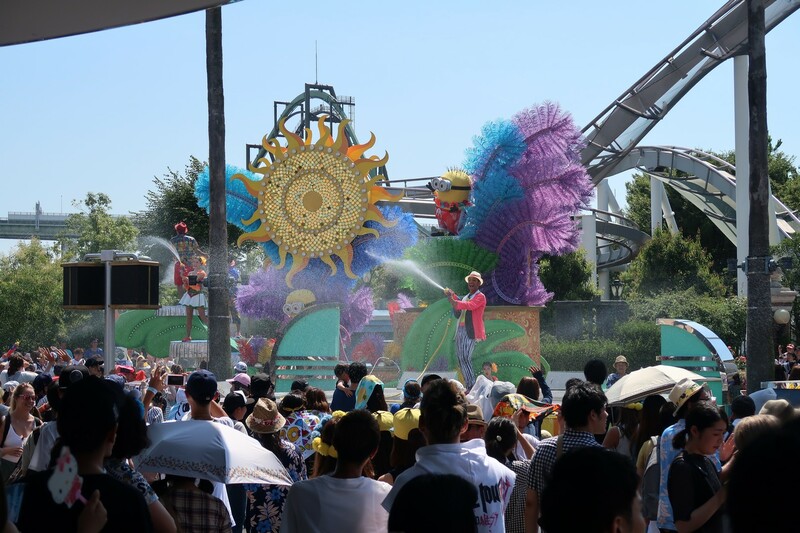 An end date has not been announced. 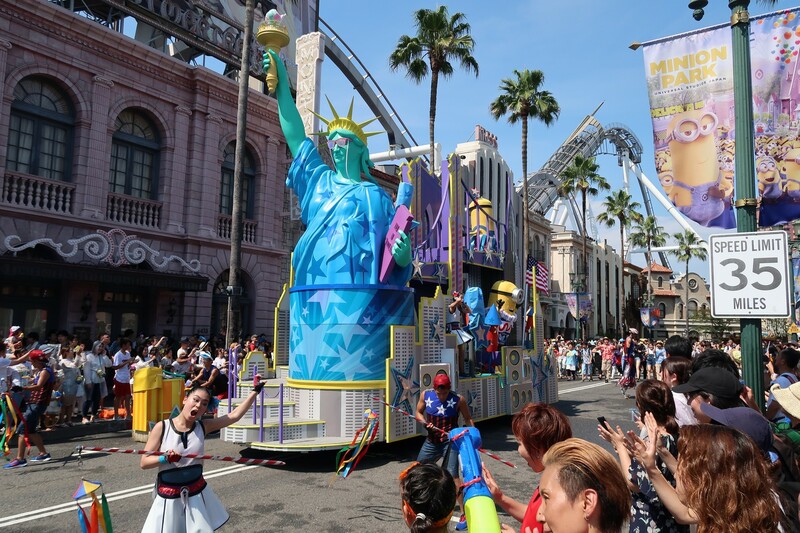 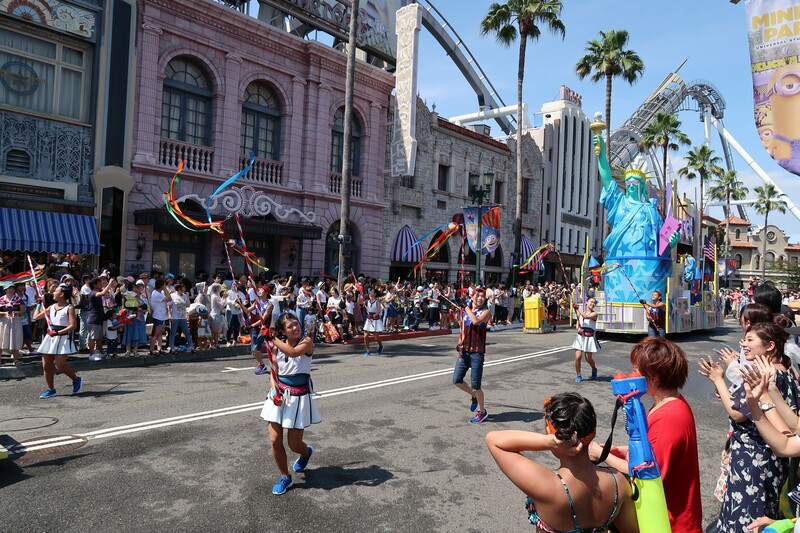 The Universal Summer Festival is currently running through Sept 3, and Universal Studios Japan is celebrating with a lot of water! 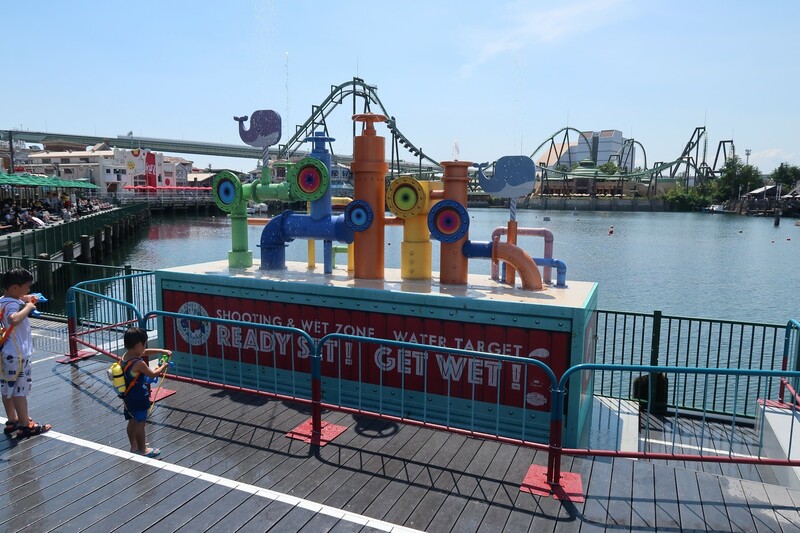 These Water shooter shooting targets are placed right at the dock of the lagoon. 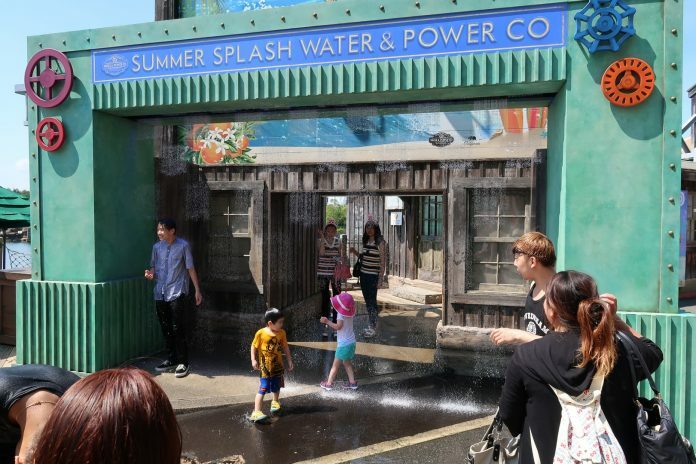 There are 5 targets, and when you hit the target, it splashes at you to get you soaking wet. 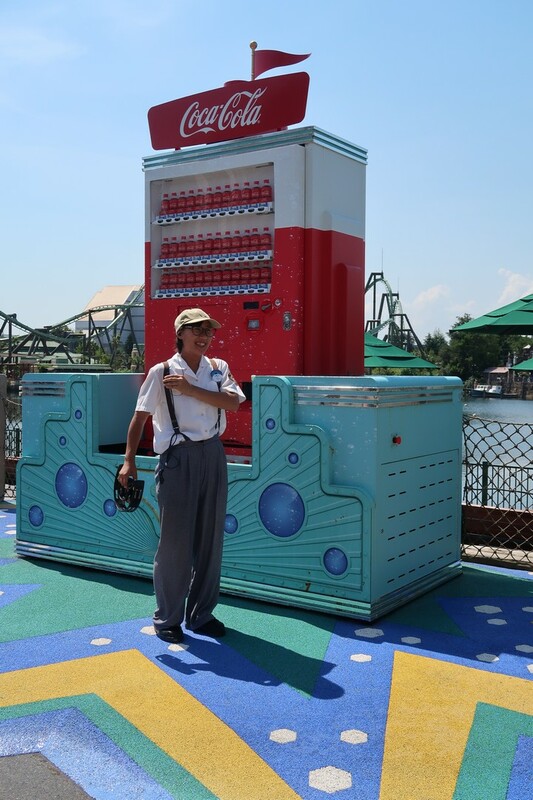 Water filling stations are located at many places in the park, where guests can fill up water shooters which can be used during the parade. 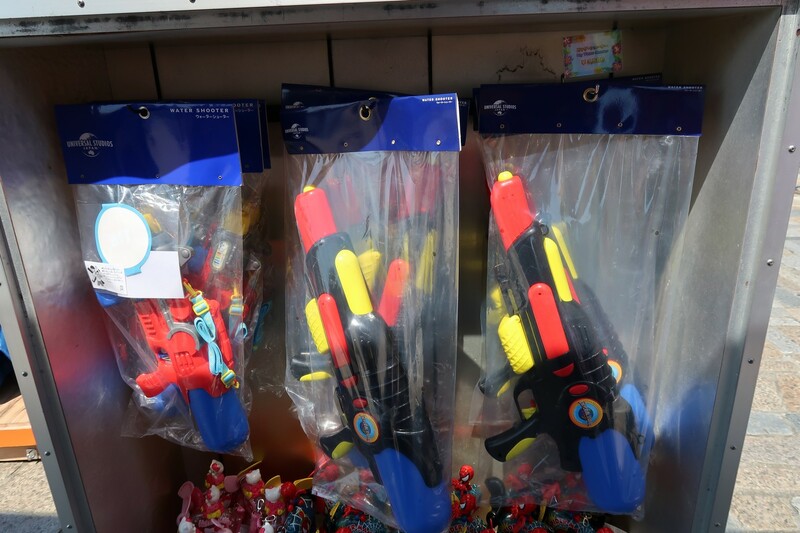 The water shooters are 3500 yen each. 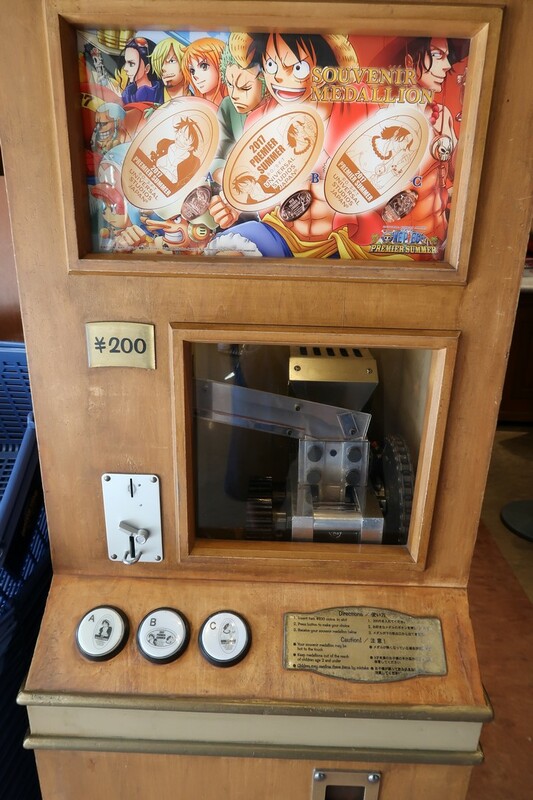 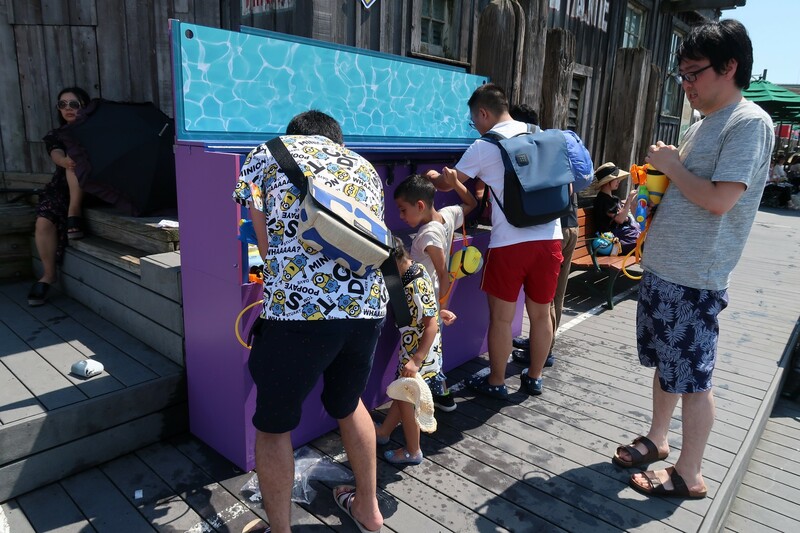 Other cool areas include a water curtain where water falls in different patterns; and the water splash vending machine – where you can insert coins, push the button, and water splashes at you. 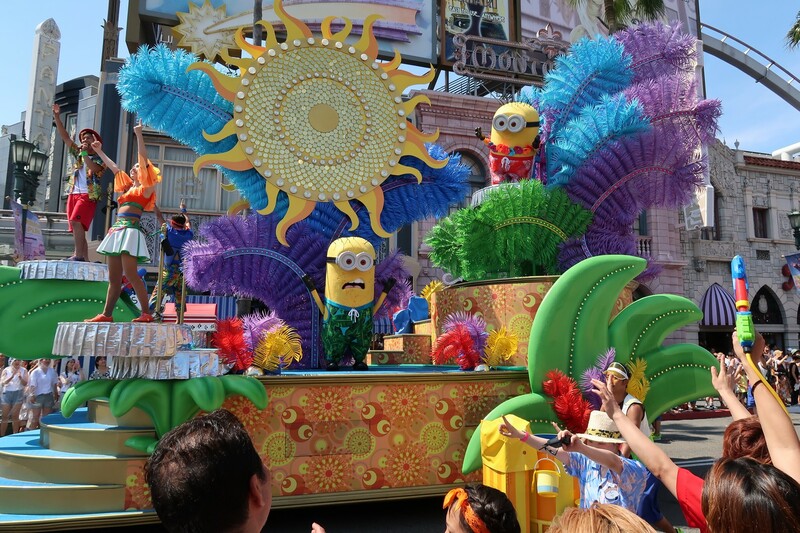 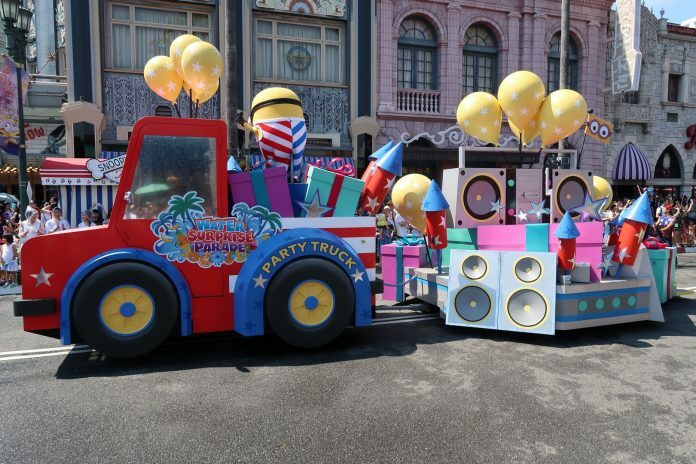 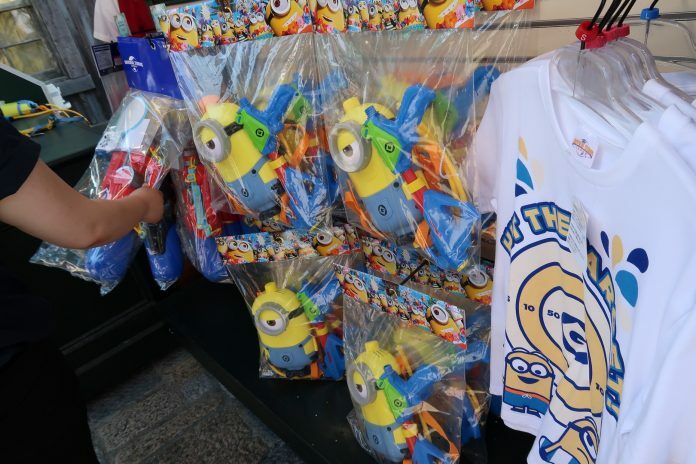 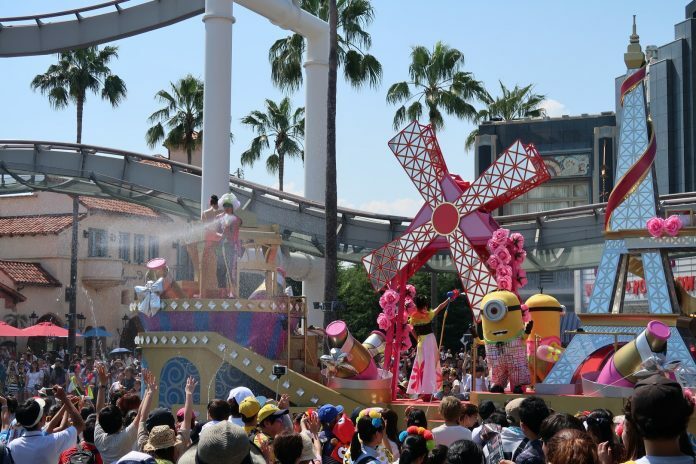 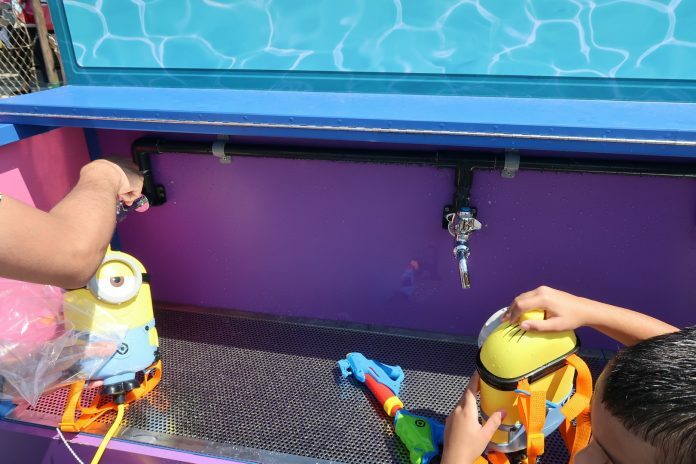 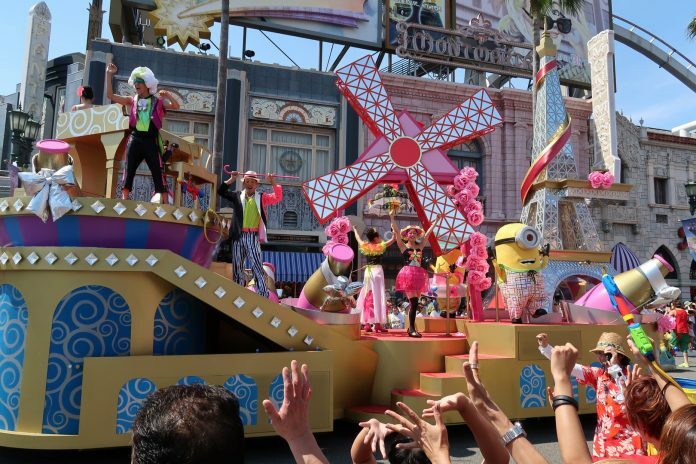 The all-new parade for the Summer Festival features loads of Minions and water! 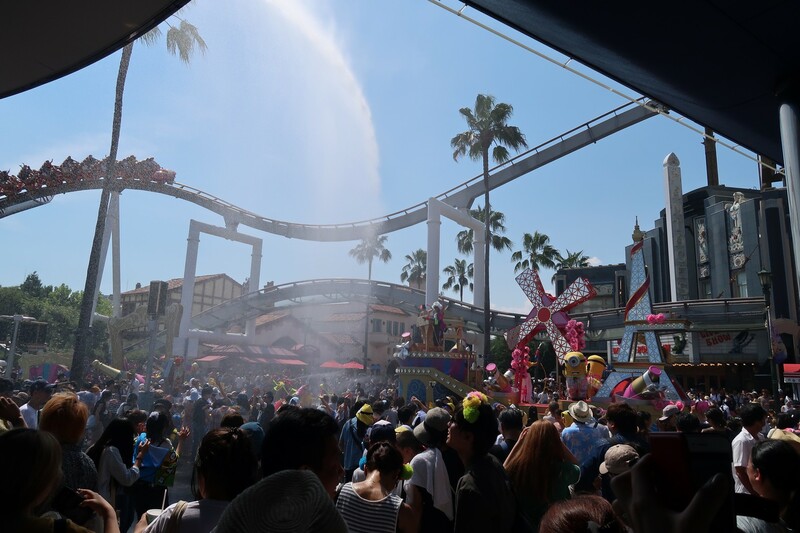 If you are in front of the parade, you may get soaking wet. If you’re looking to stay dry, you need to keep a distance away from the parade or stay in the building. 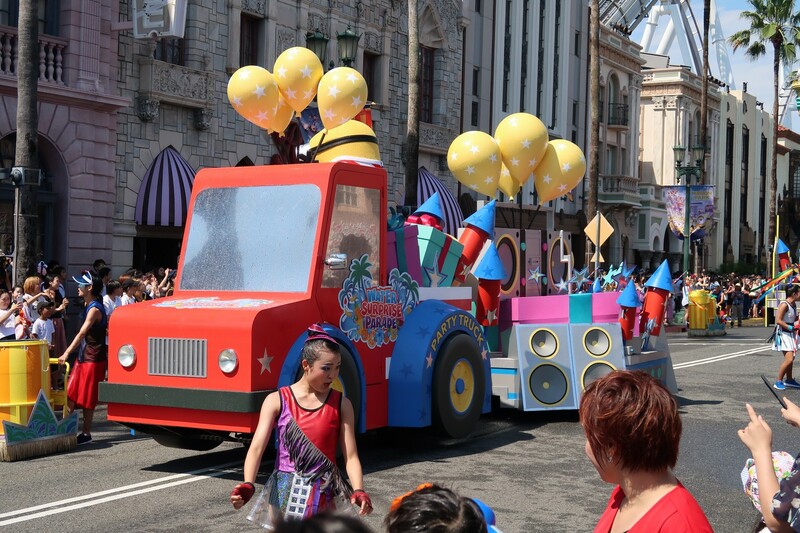 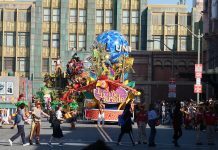 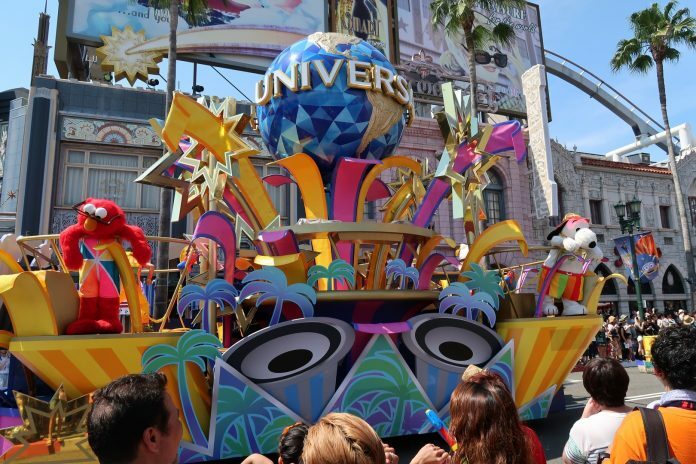 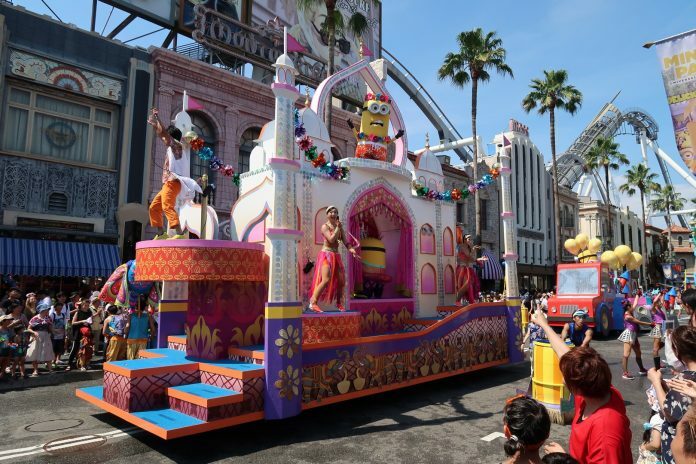 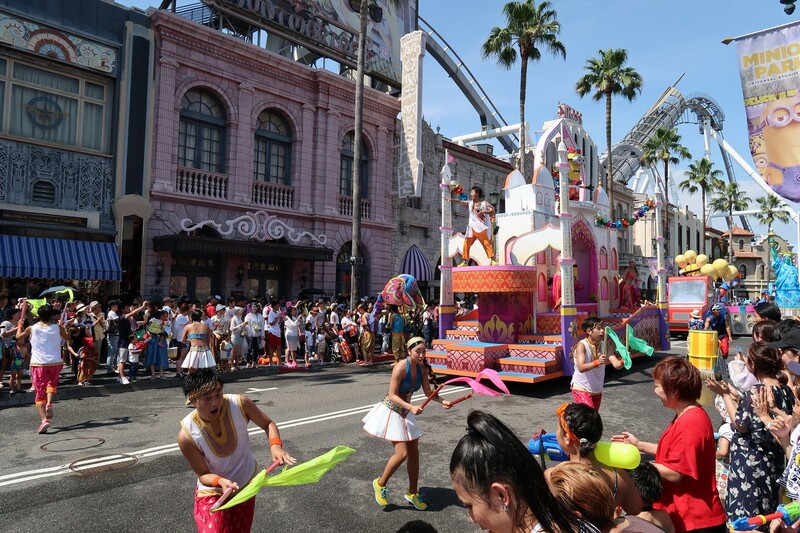 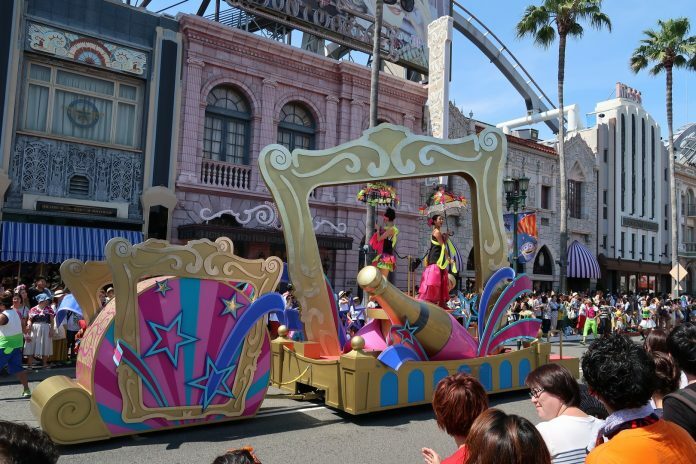 All the floats are reused from last year’s Universal Reboooooorn Parade and lasts about 45 min. 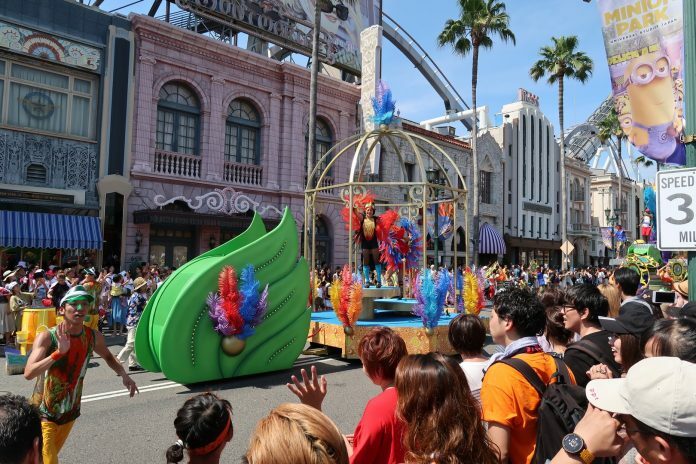 The parade will stop 4 times and use the buckets that are placed at every 4 stopping spots. 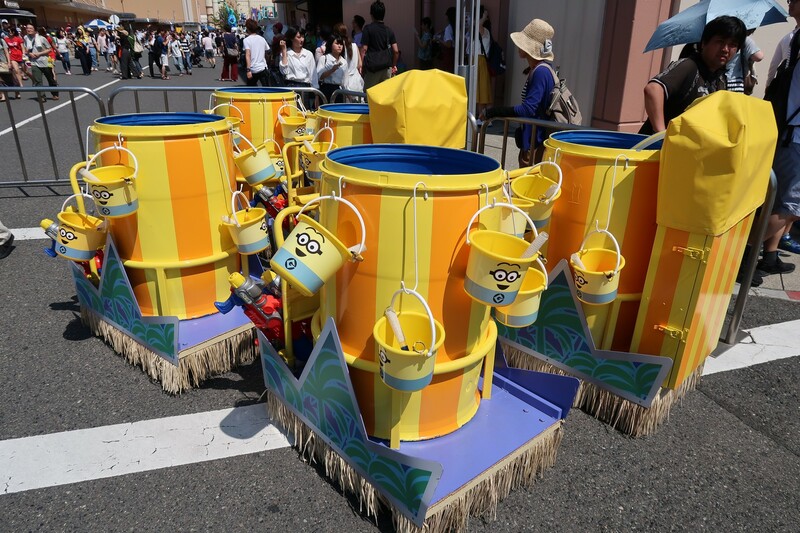 These buckets are filled with water and used to pour the water to the guests. 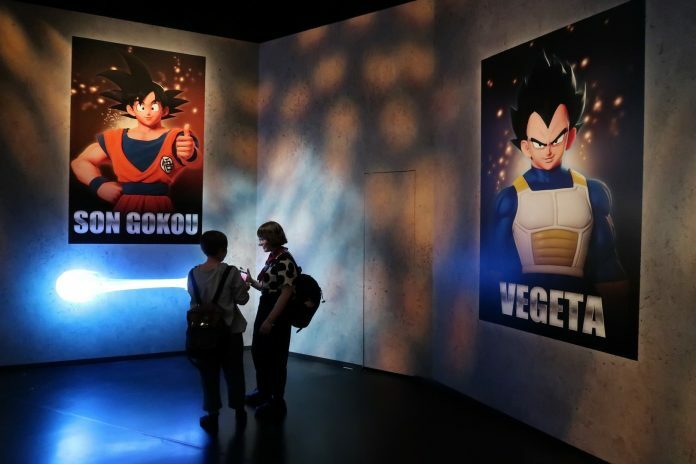 The JUMP SUMMER shop is located at the Cinema 4D store where they sell all 4 collaborative properties featured this year – Dragon Ball Z, JOJO, Gintama and Onepiece. 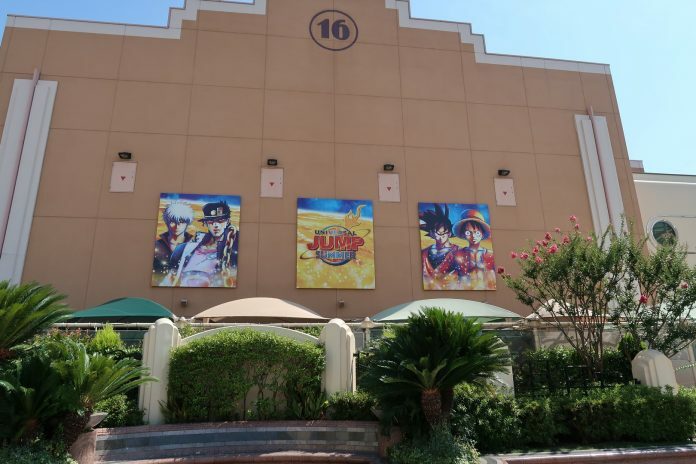 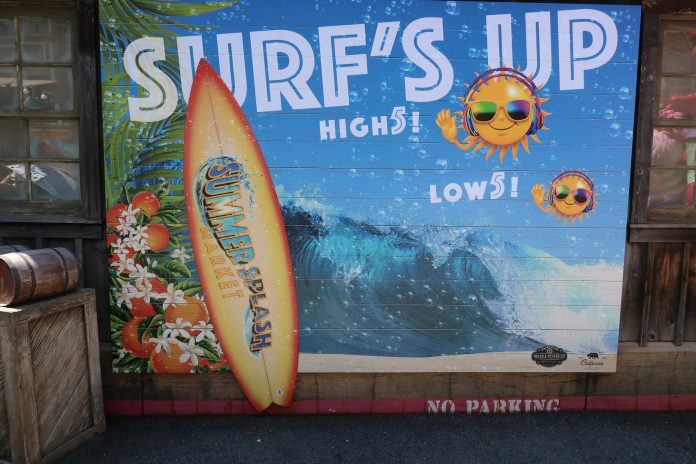 Posters at Sound Stage 14 have changed to JUMP SUMMER. 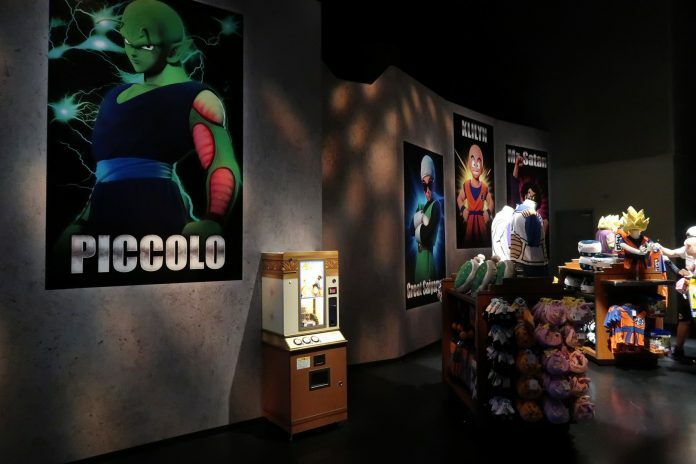 Original, the posters featured Cool Japan promos until June 19th. 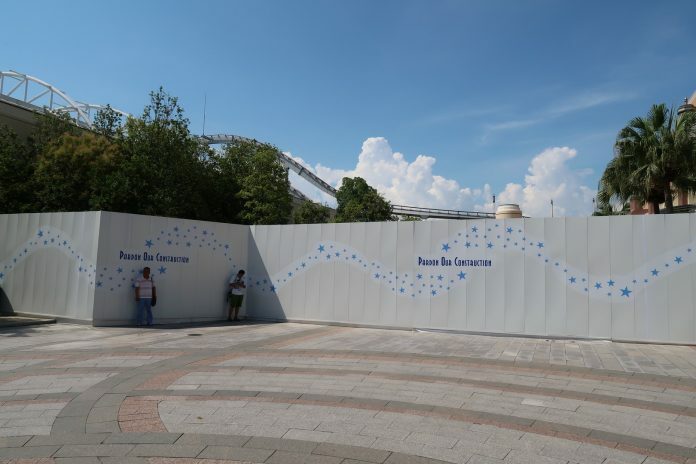 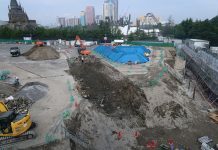 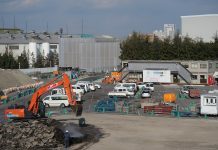 Construction walls still surround the former location of Attack on Titan statue park. The Titan has already been removed. 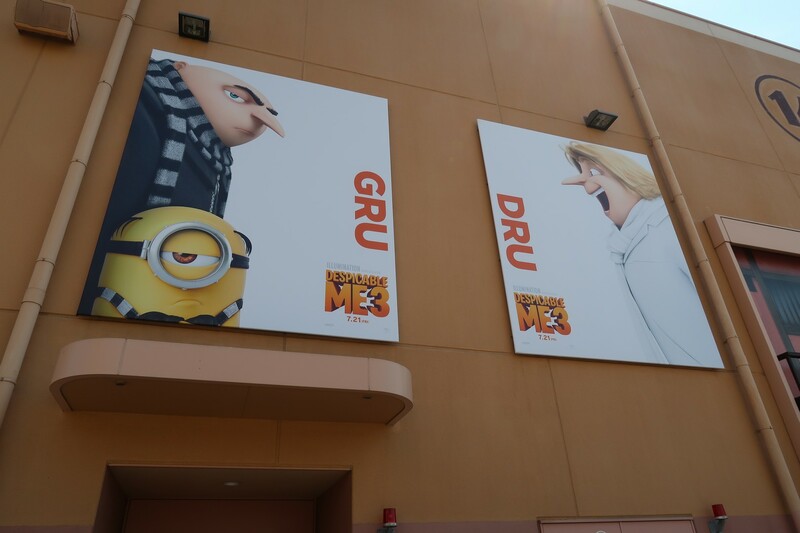 Posters on the MBS Building that featured “Fast and Furious 8” and “Sing” have now changed to “Despicable Me 3” and “The Mummy”.